Have you got a puppy who needs to be on a special diet? Or maybe his vet has suggested that you try to avoid a certain ingredient? Allergies or intolerances in canines can be tough to nail down, especially because there are so many ingredients in regular dog food. Even the best brands often feature different animal sources so that identifying a trigger ingredient can be tough. Often, it means that our puppies or dogs may need to go on what’s called a limited ingredient diet for a while. In this review, we’ll look at how you can choose the very best hypoallergenic dog food for your fluffy friend. We’ll start with a look at what hypoallergenic actually means, then consider when it might be a good idea to think about switching to this special kind of diet. Then, of course, we’ll review our top picks from each of the most common kinds of hypoallergenic food. Limited Ingredient Dog Food: Puppy Food Reviews. Does My Dog Need Hypoallergenic Dog Food? What Brands Make The Best Dog Food For Allergies? What should I do if I think my puppy needs a hypoallergenic food? How can a vet help my puppy if he has allergies? ‘Hypoallergenic’ refers broadly to anything that’s unlikely to trigger an allergic reaction. You may have seen this on some skin products, or perhaps on baby products, where manufacturers carefully choose ingredients that will be gentle on our bodies. For dog foods, the idea is the same — the ingredients in hypoallergenic dog food will often be those which are least likely to cause an unwanted reaction. But here’s where owners often get a little confused, and quite understandably so. One dog or puppy may get gas, or have a sore tummy, even though he is eating a hypoallergenic food. His brother, friend, or sister may have no problem at all with it. Why? A: Fido eats potato and chicken, and he has no problem with either of them. B: Bonzo eats potato and chicken. He’s fine with chicken but feels sick when he eats potato. For both dogs, chicken is hypoallergenic. For Bonzo, potato is not. ‘Hypoallergenic’ is used to refer to different things. Sometimes, the term is used to refer to dog foods which have only ‘novel’ animal proteins — ingredients that most dogs won’t be sensitive to. Sometimes, it’s used as a label for food that contains proteins which have been broken down into their smallest possible form. Why are proteins broken down, or hydrolyzed, like this? Without getting too scientific, an allergic dog’s body has learned to respond or react (in a negative way) to certain chemical compounds in specific foods. When these compounds are hydrolyzed, it means the protein molecules in your dog’s food are no longer in a form that will trigger allergic reactions. Nice, right? Limited ingredient food, on the other hand, doesn’t go through any complicated scientific processes like hydrolyzed food does. It simply keeps the number of ingredients in your dog’s food to a minimum. This way, it’s easier for you to know what he is, and is not eating. Got a dog that can’t eat potato? With limited ingredient food, you won’t have to scroll through a long list of ingredients to figure out whether there’s anything potato-related in there. These can be very distressing for a loving dog owner to witness, so if you can, it’s a good idea to take your fluffy pal to the vet as soon as possible. Very often, a vet may recommend a limited ingredient dog food, so it helps to know what kinds are on offer. 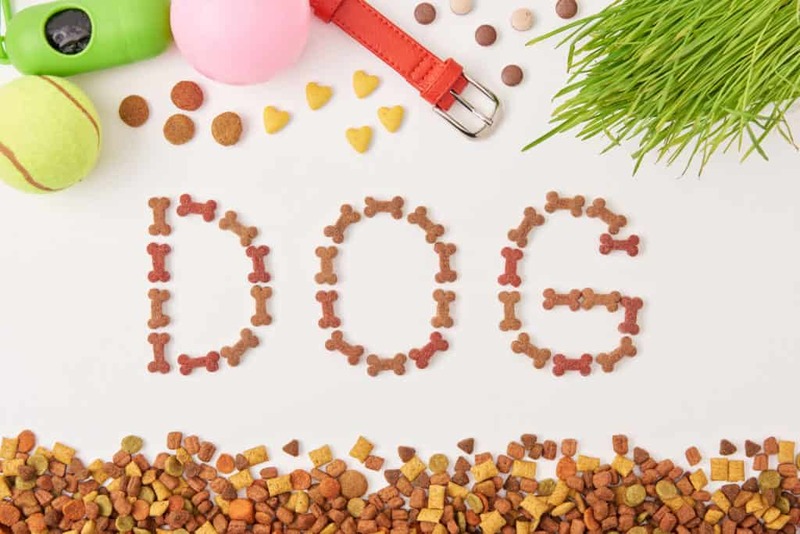 Dog allergies and intolerances come in so many different forms, which is why we’ve searched far and wide to get as many of the best possible options we could find. You may find some brands that you’re not yet familiar with in our reviews, but the same old favorites keep on popping up every time! 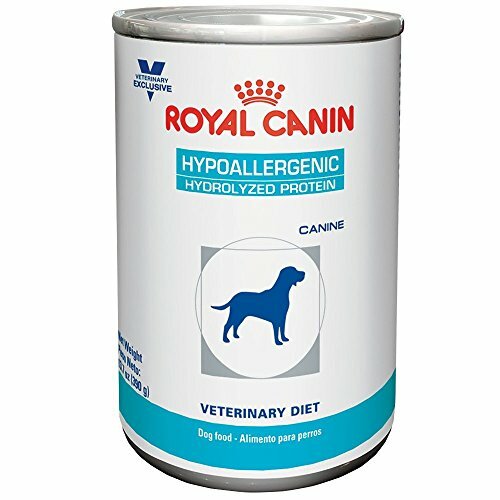 Royal Canin – which has formulated a lovely hypoallergenic wet food for our doggies’ dinners! In all the reviews here, we’ve tried to include both some puppy and adult food options. But at the end, you’ll also find a special section dedicated to puppies, and one for those dogs who love a wet food dinner! In this blend, you’ll find a lovely and optimal mix of skin- and coat-healthy ingredients. That is, Omega acids, E Vitamins, and antioxidants for an immune-boost. What’s the flavor? Hearty, genuine chicken! Contains corn, other maize-related products, and wheat. This is a good chicken dinner for grown dogs. Crunchy, nommy, and with no unwanted filler ingredients to ‘bulk’ it up unnecessarily. Plus, it has good levels of glucosamine to look after your doggy’s joints. 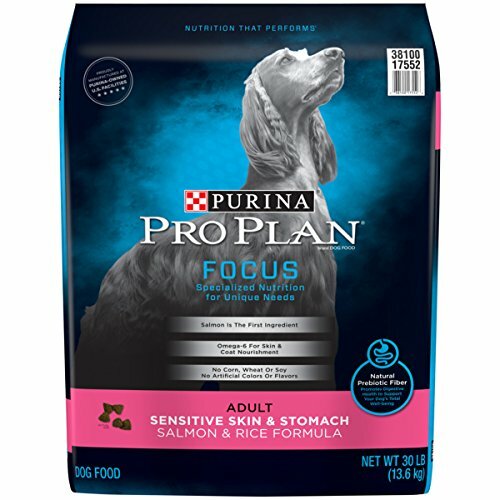 Purina Pro Plan is well-known across the globe and has a reputation for quality products. This hypoallergenic dog food is designed to help combat symptoms of sensitive skin through both antioxidants and Omega acids from genuine salmon. 1% calcium, for lovely, robust and strong bones. 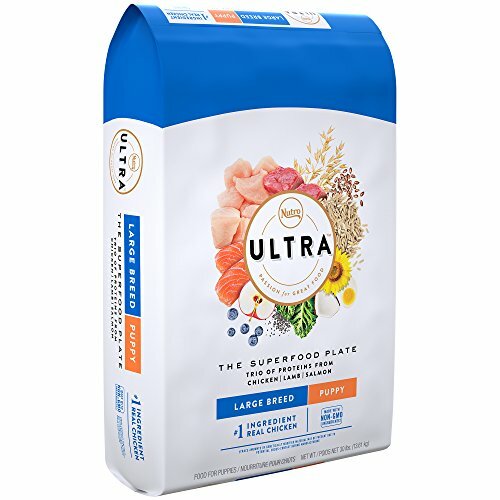 Some brewers yeast has been used in this Purina formula, which some dog owners prefer to avoid for its reputation as a ‘filler’ ingredient. Redness, itching, and falling-out fur are a few of the sensitive skin problems that dogs have managed to shake with this recipe, according to reviews. And that’s exactly why it’s a great option from a globally recognized brand. Here’s one that is specially tailored for the needs of bigger dogs. By bigger, we mean both larger breeds and adult dogs. We picked this one because its Omega acid content, but clearly, Wellness Complete has also created a wholesome all-around formula to boot. Has antioxidants, too, for an immune-system boost! Sadly, dogs who can’t eat chicken will need to try a different recipe. Sometimes, the best dog food for skin allergies won’t be advertised as such. If you’re ever in doubt, try doing what we did and have a look at the Omega acid percentages that a certain food contains. This Wellness Complete recipe passes our test! Specially developed for adult dogs who’ve got sensitive skin, this Hill’s formula is quite commonly prescribed by vets. With fatty Omega acids for skin protection and Vitamin E, a special recipe such as this can often help reduce itching and redness. As it’s so frequently prescribed by vets, it’s developed quite a good reputation for alleviating the symptoms of sensitive skin. 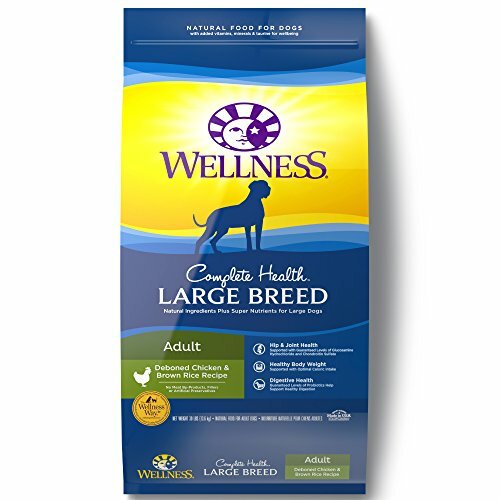 Developed by professionals and vets alike, you’ll find that the price for this Hill’s food is considerably high compared to regular dog foods. This veterinary prescription formula may just be what your dog needs if it’s time to switch to a food with a clinically developed nutrient profile. IAMS is often sold in vets’ offices, but this is a sensitive skin recipe that can easily be ordered without a prescription. Alongside the requisite Omega acids for reliable skin protection, you’ll also notice this is quite a lovely combination of healthy, nutritious ingredients. Those omega acids will also help contribute to your dog’s shiny coat! 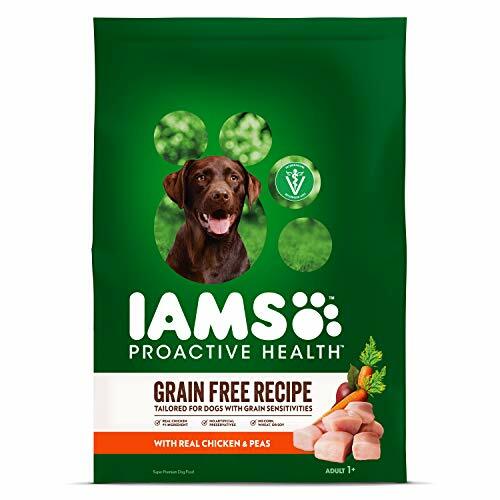 While all different breeds and sizes can enjoy this Iams formula, it’s only for adult dogs. 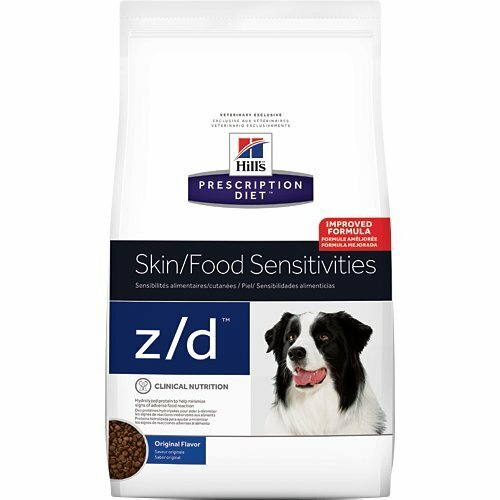 This food used to be called ‘Sensitive Skin and Stomach’, and the formula is still largely the same — with the same attention to dogs with skin sensitivities. With limited ingredient recipes, such as this Merrick option, it’s very easy and hassle-free to keep note of what your pup or dog is eating. 347 calories in each cup, a healthy figure for…well, a healthy doggy figure! Nope, we’re huge fans of this healthy, nutritious limited ingredient option! There is no chicken to be found anywhere in this delicious and wholesome Merrick recipe. With both healthy tasty salmon and non-animal-based garbanzo beans, your grown dog will be getting a well-rounded diet, despite the limited ingredients! This is a great formula because it’s made with two types of fish, zero chicken, and all the natural vitamin awesomeness of sweet potato. That means natural fiber, too, as well as Vitamins B5, C, B6, and lots of lovely minerals. It’s designed for each and every adult doggy breed—large and small! This blend is only really suitable for those adult dogs. Puppies and growing pooches will not get sufficient protein or calcium from this blend. Here’s a healthy recipe for grown-up canines, with two kinds of fish (salmon and whitefish) as well as glucosamine-containing salmon oil. So your dog will have no trouble keeping those joints healthy and strong! Turkey will give your dog a good amount of lean protein for muscle development, but you can rest assured that there’s no chicken in here. 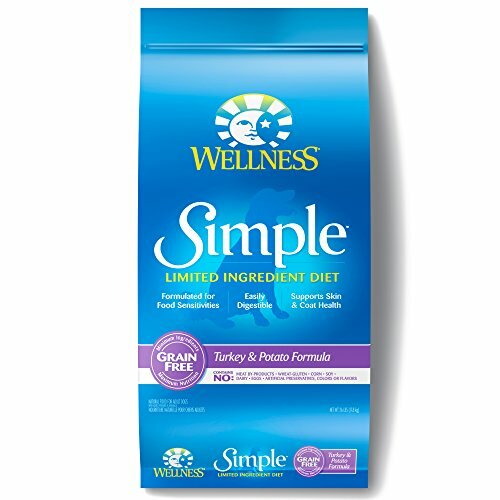 Keep it nice and ‘Simple’ for your dog with this tantalizing limited ingredient blend. If you’re looking for a potato-free blend, just scroll down a little more and we’ve got five awesome options for your beloved fluffy pal! 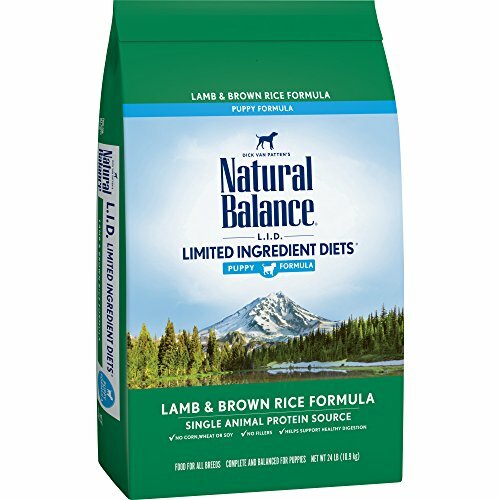 Of course, Natural Balance also has a tasty Limited Ingredient option for our cute growing puppies. This recipe features only one sole animal protein — lamb — and gently digestible rice for sensitive tummies. Both Omega acids 6 and 3 will help your puppy maintain good skin care. With only one ingredient, you may want to mix the menu up for your puppy once in a while. We just suggested that you might want to vary the menu for your little pup, and if he’s sensitive to chicken ingredients, you’ll find this is easy to do. 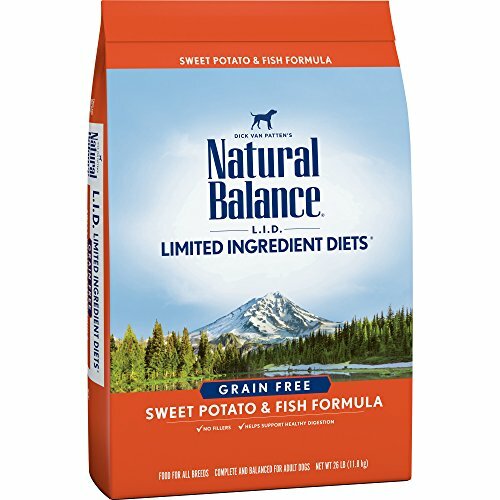 That’s because Natural Balance also makes puppy “Limited Ingredient Diet” formulas in other flavors, too. Equally wholesome, just as delicious. 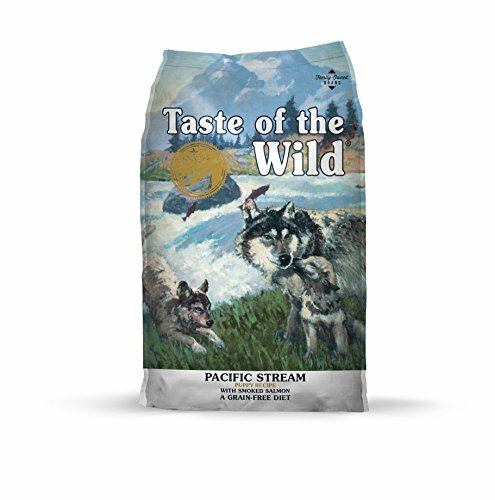 Taste of the Wild creates amazing puppy food in a veritable rainbow of different flavors — this Pacific Salmon blend just happens to be 100% chicken-free. Perfect for pooches who can’t tolerate any chicken-derived ingredients. Made with other animal proteins, too, such as venison and beef. Unless it’s too tasty, your chicken-intolerant pup is probably going to do just brilliantly with Taste of the Wild. As always, we love the real vegetable content and complete lack of unnecessary chemicals. 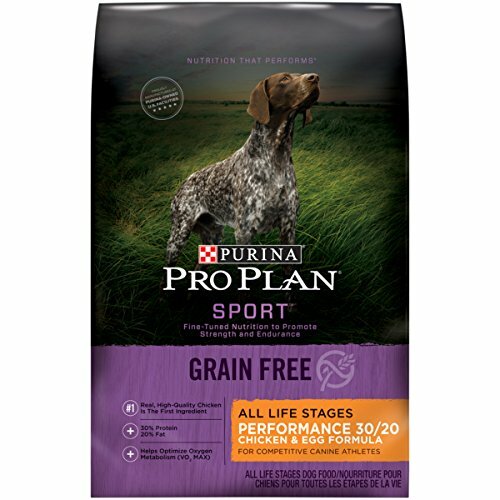 All doggies, young and old(er) can enjoy a nommy potato-free meal with this SPORT formula from Purina. Chicken is on the menu tonight with this 30% protein blend! At 30%, it’s protein-rich enough for fast puppy growth. Some by-products have been included for their glucosamine content. If you’re a potato-averse puppy parent, this blend is for your little one. It’s also great for larger breeds, who unfortunately can be slightly more prone to joint difficulties. That’s where the glucosamine comes in very handy. 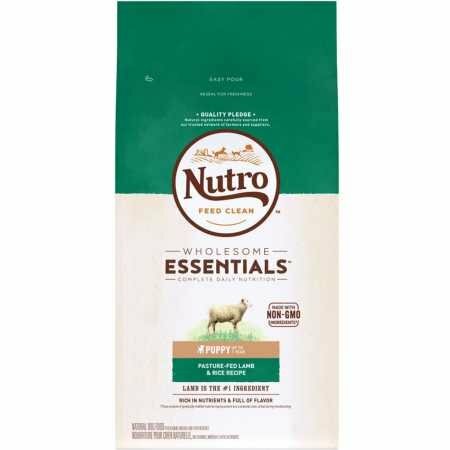 This Nutro Ultra recipe is designed for both larger-breed puppies and for their grown-up counterparts. While it has zero potato or potato-based ingredients, you’ll find not one, not two, but three meat-based proteins in each meal. It’s great for all dog and puppy sizes! Some puppy owners may prefer food which offers slightly higher amounts of protein. It’s possible to get a super healthy food minus any potato even when it hasn’t been developed for that purpose. We know that you may not have time to read all the ingredient information, but that’s why we’re here — this formula is balanced, contains super-healthy ingredients, and won’t set off your pup’s potato allergies. Acana is probably best known for being made by the same manufacturer as Orijen. Both are high-end brands, with zero ingredient outsourcing. 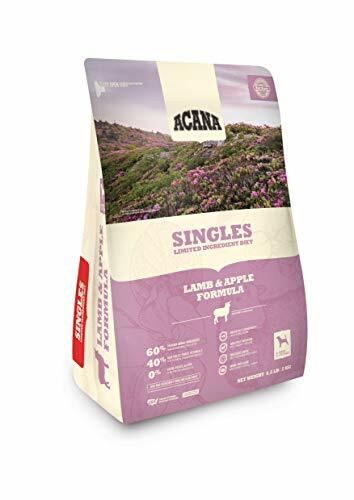 This Acana blend has no potato but is also free from gluten, so suitable for lots of different doggy types. There are healthy servings of Omega acids to boost, boost, boost that doggy coat! This Acana food may be a little expensive for some owners’ preferences. With such a brilliant protein percentage and zero potatoes, this is a healthy dinner option for all kinds of dogs. Because the one recipe is suited for adults and pups (big and little), you may even end up saving some online shopping time! 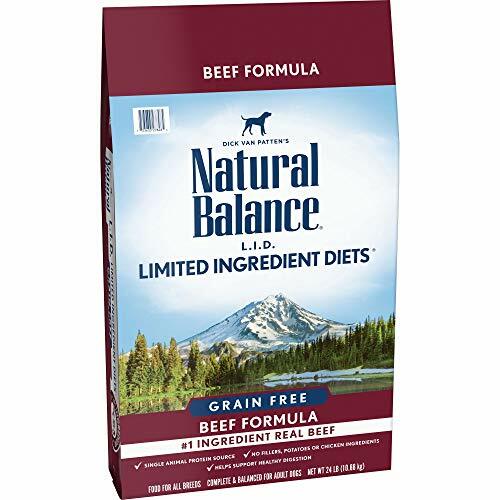 Adult dogs will adore the beefy goodness of this potato-free blend, which provides a hearty 32% protein in every serving. As a limited ingredient formula, it’s also easy as pie to double-check for any other potential allergens. And we like simple and straightforward, don’t we! Lovely E Vitamins for healthy doggy skin! This formula contains beef, which some dogs cannot tolerate. Always ask your vet for advice if you feel your dog is not doing well on his food, hypoallergenic or otherwise. 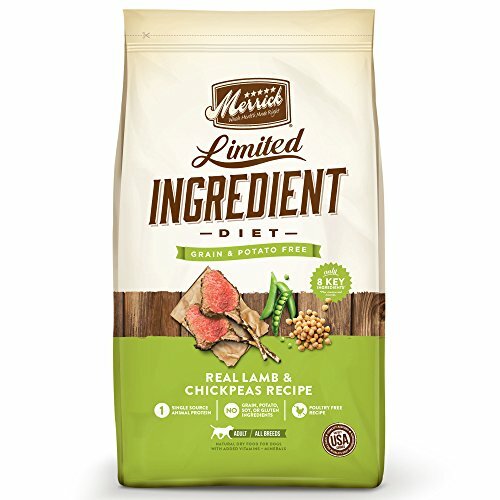 If you (and your best bud) like the sound of no grains, fillers, or chicken, then this limited formula could be a great pick. We don’t mind the price, either! 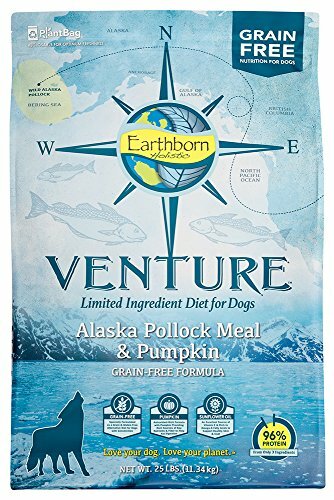 Earthborn Holistic Venture Alaska Pollock Meal And Pumpkin Limited Ingredient Diet Grain Free Dry Dog Food, 25 Lb. A grain-free, potato-free recipe that’s also skipped the egg—perfect for ever so many intolerant or allergic dogs! Alaska fish and nutritious pumpkin are the two top ingredients in this blend, which is made in the USA by Earthborn Holistic. Sorry little puppies, this food is for grown-up dogs only! Pumpkin is an excellent source of natural fiber, and good for doggy digestion. At the same time, your pooch will benefit from Vitamins A, C, and potassium. Plus, of course, the protein and goodness of white fish. Royal Canin makes perhaps the most famous hydrolyzed protein chow for dogs. 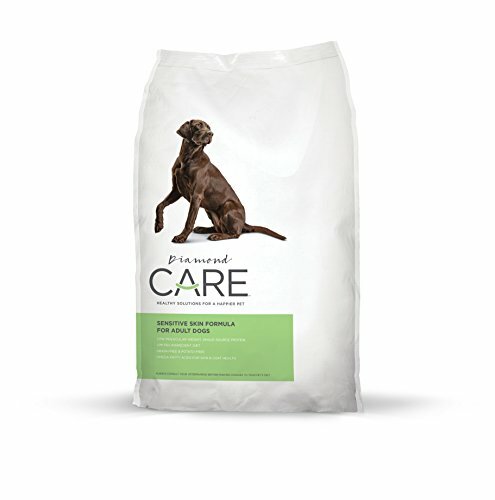 This is hypoallergenic dog food that’s easily digested, balanced, and complete for maintenance in adults. Check, check, and check! Soft on our little doggies digestive systems! While it’s formulated as food for all different life stages, it contains 19% protein, which may be somewhat low for some puppies. This HP blend uses small peptide molecules instead of the regular proteins that animal meat contains in its normal form. Thus, it’s a scientific way to avoid the most common pesky (and sometimes pretty unpleasant) allergic reactions from food. 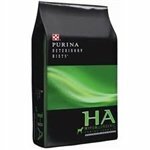 Both a developmental and maintenance food, Purina HA can safely be fed to most intolerant pups and adults. Common problems that this food is used to avoid include dermatitis, pancreatitis, and unpleasant digestive problems. AAFCO-approved both for growing and grown pooches. 18% protein only, perhaps slightly low for developing, growing puppies. 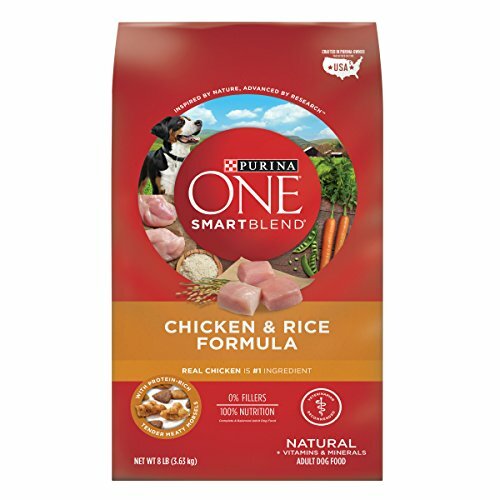 Available in both vegetarian and chicken varieties, the vegetarian version of this Purina HA food only contains one single source of carbs. And it’s even available as a wet doggy chow for adults, which is a lovely option for mixing things up! Salmon is the hydrolyzed protein ingredient in this Blue Natural dinner, which is also deliciously grain-free. Perfect, actually, for a surprisingly wide range of different doggy diets. No synthesized chemicals for preservation or flavor. While this is a really excellent healthy option, it is priced quite highly. 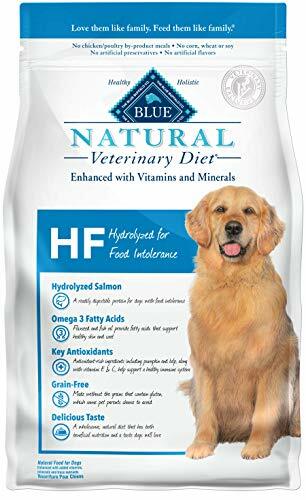 If you’re after a hydrolyzed protein doggy food that also offers real veggies, this Blue Natural formula is for you. Well, for your dog, that is. Hydrolyzed salmon makes this grown-up doggy dinner safe to eat for pets with sensitive skin. They contribute to a well-functioning immune system. Not really, it’s even quite an economical choice, considering that it is specially formulated. At first glance, the list of ingredients on this CARE recipe packet may seem daunting. However, on closer inspection, you’ll see that the majority of ingredients are actually mineral or vitamin supplements. Once you know this, it’s pretty easy to figure out whether a dog with other intolerances will be okay to eat this. 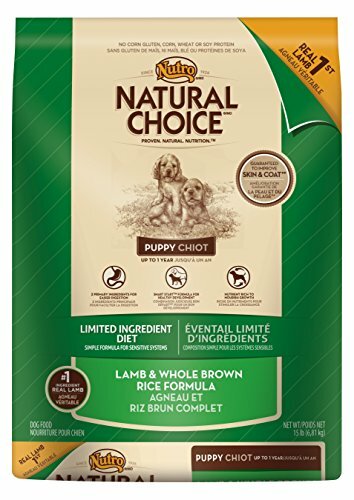 With none of the most common gluten-containing ingredients, this wet hypoallergenic dog food features lamb as one of the 5 main ingredients. Uses non-genetically-modified foods, for a natural take on limited ingredient food! Includes zero chicken products at all—that means no by-products, either. While there are no chicken ingredients or wheat ingredients, there’s potato in this recipe. Have you got a dog who just wags and wags his tail at the thought of wet food? The good thing about Nutro is that they create limited ingredient canned options in different flavors. So your best friend never has to get bored of the same, dry kibble! 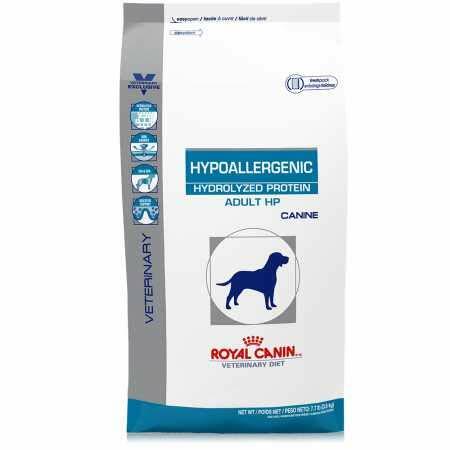 Royal Canin Hypoallergenic Hydrolyzed Protein Can, 24/13.7 Oz. Here’s a delicious hydrolyzed dinner in the form of an easily-digested dinner. This contains hydrolyzed non-meat soy, for allergic or intolerant pooches. It can even be used for short periods for feeding trials. This contains chicken liver, so is not suitable for dogs who can’t eat chicken! While we love to see real vegetables in dog food, it’s often better for allergic or intolerant pets to skip all those extra ingredients. Never fear, this Royal Canin dinner includes supplements to ensure your fluffy friend gets his daily doses for optimal health. 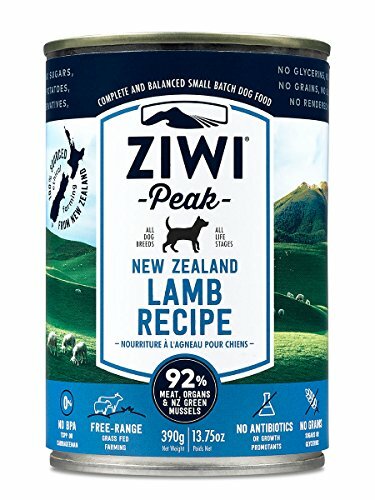 Little cute puppies and older dogs both can tuck into this Ziwi dinner, which uses New Zealand lamb for a healthy twist on chicken! There is 92 percent fresh meat, bones, and organs. None that we can find, it comes as a chunky, tempting loaf for your puppy or dog! With 9.5% protein, this Ziwi food is crafted in small batches. You’ll even find some kelp in here for vitamins! This is, essentially, a chicken dinner, and it features potatoes, too. But, you’ll be hard-pressed to find many more common allergens than that in this gluten-free puppy blend. Yep, it’s just for pups! Includes many of the essential minerals for proper puppy function and growth. Of course, it’s not suitable for pups who can’t tolerate potato or chicken. 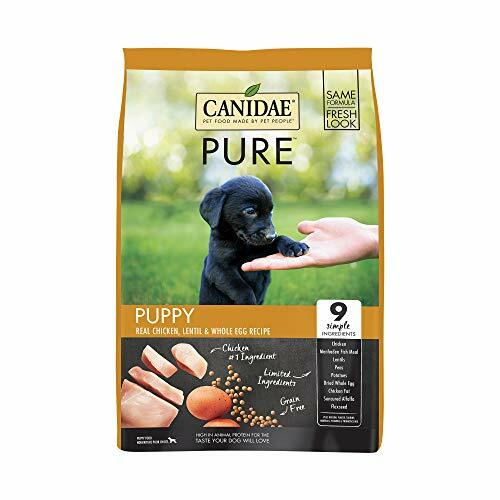 Canidae makes a lot of tasty grain- and gluten-free formulas for our little pups. This is one option that pooches with other sensitivities may enjoy, too. An entirely zero-grain recipe that also skips the poultry. Perfect for those little pooches who are on a chicken-free diet. All the Omega acids and Vitamins for healthy puppy skin! 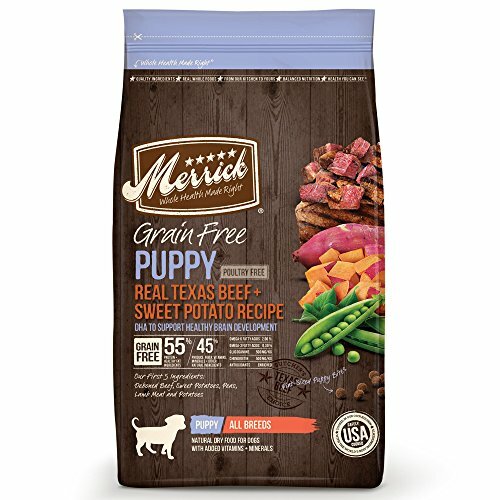 Merrick makes great puppy food, and it just so happens that this is both soft on their tummies and chicken-free. If inflammation, itchiness, or similar skin problems are plaguing your pet, this formula might help! With fiber from brown rice, even pups who tend to get stomach issues may find this easy to digest. 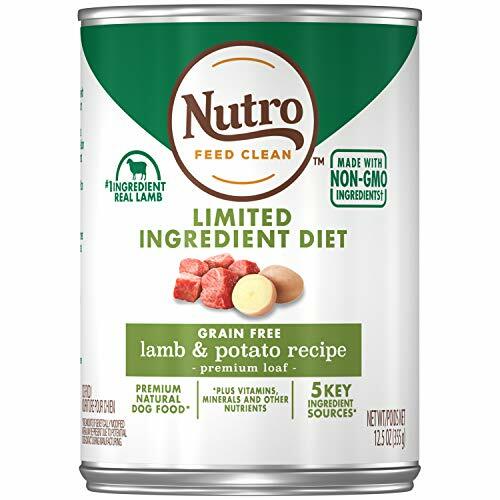 This Nutro Natural Choice LID formula boasts only one animal-based protein source—lamb. Suitable for all differently sized pups! While there is no potato on the ingredients list, it’s always best practice to contact the manufacturer if you have any concerns about cross-contamination. Puppies need lots of protein to support intensive development, which your pup will get not only from lamb but from peas, too! If you’ve noticed your puppy having some unpleasant reactions to his or her food, the very best thing you can do is consult a vet. Sometimes, if these symptoms are only very mild, it may be enough to switch him over to a limited ingredient diet and see what happens. It is fairly easy to transition your puppy to a grain-free, gluten-free, or hypoallergenic dinner within a week or so, and this may, in fact, clear up the problem. If you suspect that another ingredient may be triggering your pup’s allergies, then you should waste no more time in heading to the vet. Often, he or she will be able to provide good advice on how best to proceed. When you take your pup to the vet, he or she will most likely ask about or observe your pup’s symptoms. In some cases, they may be able to tell right away what is causing your pup to itch, sneeze, or similar. Things may not be that simple, however, quite frequently your vet will also be able to provide medicine or treatment that curbs your pup’s symptoms. As this is not something you can do at home, it’s always better to get a professional to look at your beloved pet. At some future stage, your fluffy friend may need to be on a hypoallergenic diet, either for a short while or for life. Either way, some veterinary advice will put you in a better position to avoid these things happening again.